A gold gilded effect painted high mass set. The corpus is made of resin and the wax collector is made of stainless steel. 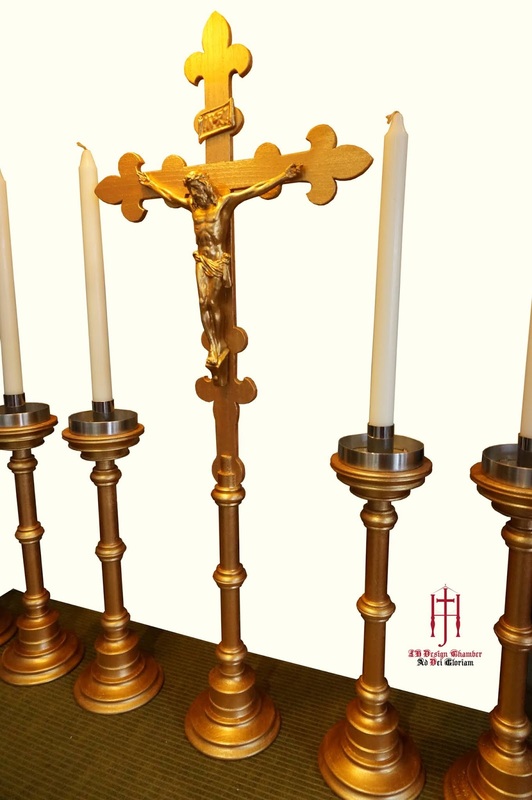 The design of the candle stick and crucifix is one of my first work on wood turning design. 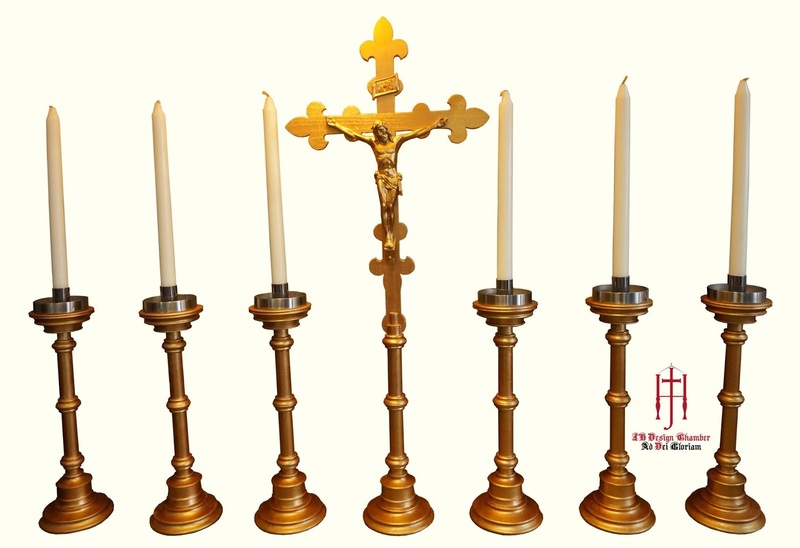 The Cross is made of poplar wood and the stem made out of Nyatoh wood. These candlestick are made by hand using a wood lathe and the cross is carefully cut manually by hand. The surface of the set are sand off using a medium fine sand paper leaving a thin texture of the beauty of wood grain.